TWIST is a business Cluster active in 3 markets : Cinema/TV/Animation market, Broadcast technologies market and multimedia market (interactive medias, video games, transmedia, web, mobile, social networks). This cluster of Excellence brings together private companies, universities, colleges, research centers and public authorities operating in the field of audiovisual digital technologies and multimedia in Belgium. Then quit looking for partners, find them here ! Check out our online catalogue. Your search can be done by keyword or according to your profile and/or needs. 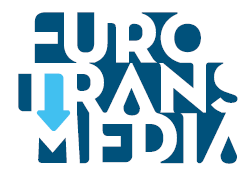 Check out our Transmedia made in Wallonia catalog. memovie invents the multimedia co-biography and stages stories of individuals, families, companies, products and institutions. Already renowned for its excellence in teaching, the University of Namur is increasingly recognized for the quality of its research. Launched in 2018, Innosual is a Brussels based communication hub which delivers comprehensive communications solutions to European federations, EU and international institutions, corporations and media. VP Media Solutions is active in the Media industry since 1975 as product distributor, project integrator and service provider. FLYING-CAM is worldwide leader in close range aerial filming with unmanned helicopter for Motion Picture and Live Broadcast applications. Thanks for subscribing ! Don't forget to check your mailbox to confirm your subscription. An error occured. Please check your email address.